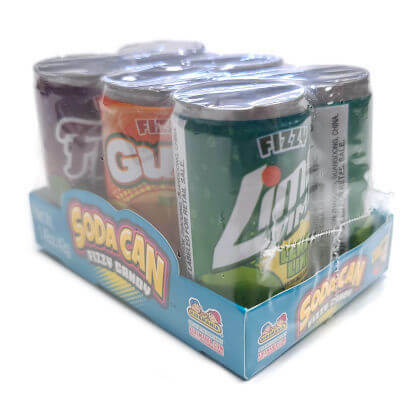 Delicious soda flavored fizzy candy packaged in mini soda cans! 1.47 net oz. 6 pack package is approx. 3.25 inches by 2.25 by 2 inches tall.